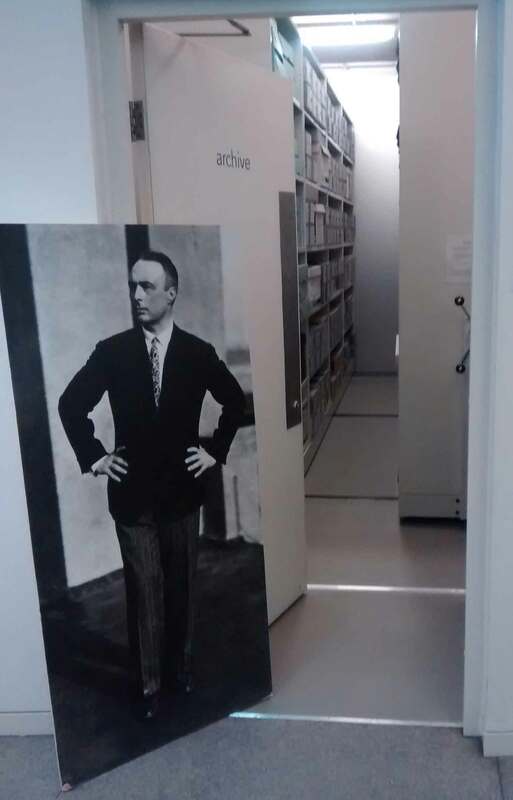 We had an Archive Open Day recently where we invited all staff and students at Trinity Laban to drop in and see what lies behind the ‘archive’ door in the Laban Library and Archive. 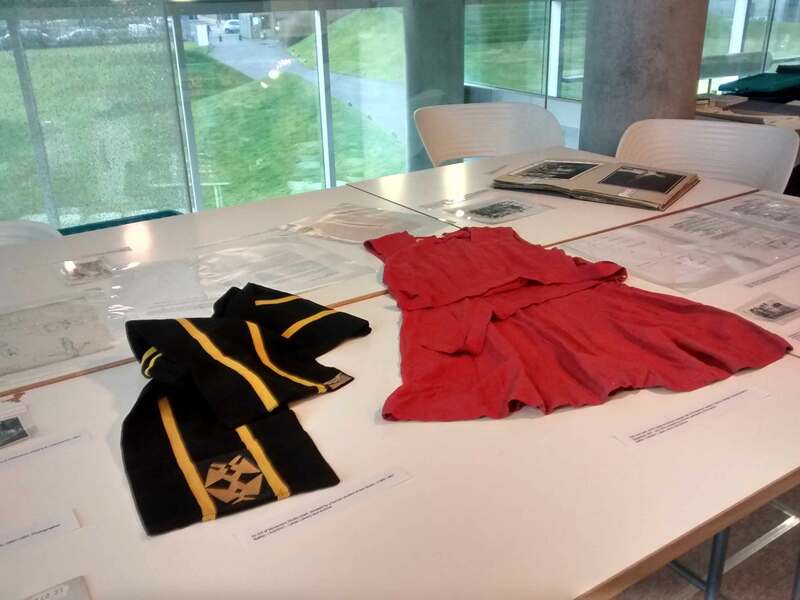 As well as displaying an Art of Movement Studio (what the Dance Faculty was first called when established) scarf, dating from 1962, we also had a tunic donated by a former participant in Art of Movement Studio classes in the 1950s, a prospectus from when the Art of Movement Studio first opened in Manchester in the late 1940s, original drawings by Rudolf Laban donated to us by a former student of his, and of course a photograph of ‘the moustache’ as worn by a certain Anthony Bowne in the first years of Transitions Dance Company. 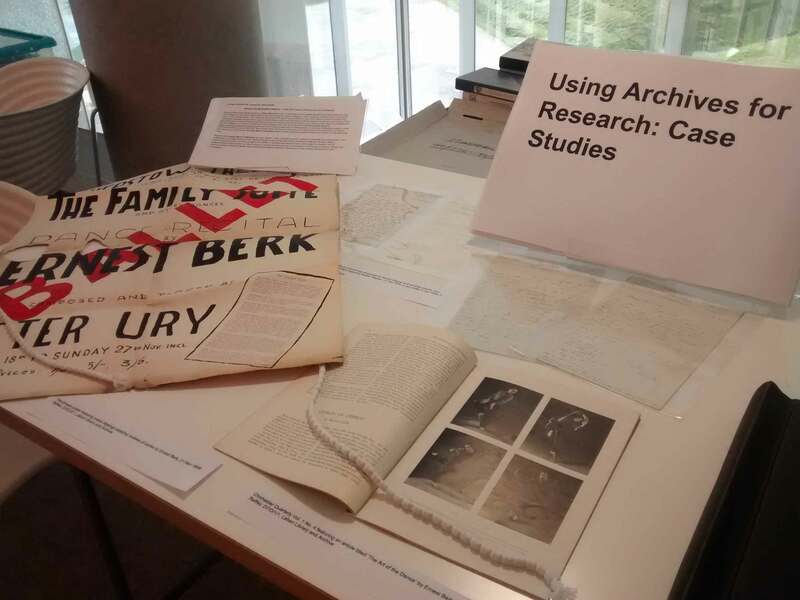 And as it was also Research Degree Programme week for our postgraduate students we featured two case studies demonstrating how two researchers have used the archive collections in their research. 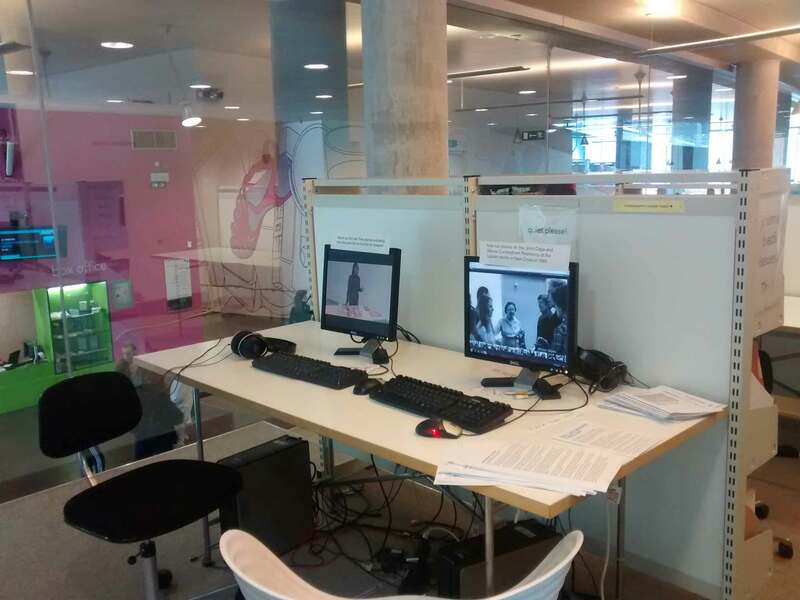 And, as if that wasn’t enough, we also premiered a film, made by our resident AV/IT supremo Ian Peppiatt, of independent researcher Thea Barnes talking about how she began and developed her research in the Laban Archive.